It has taken 5 years, loads of hard work, and a dedication to helping others, but there is a blue banner hanging in the Boneyard! Boneyard Robotics won the Chairman’s Award at the Wake County District competition on March 10, 2019. We are so very excited to be recognized for reaching out to others and serve their needs while making the Boneyard and FIRST a more inclusive place. Our mentors are manning the quiet room (we call it the Quiet Space to go along with this year’s theme) at all NC FRC competitions this year. It’s something we developed with a Certified Advanced Autism Specialist to make sure we were able to meet the needs of our neurodiverse population. In space, noone can hear you scream. At NC FRC events, EVERYBODY screams! That can get a bit overwhelming for some folks. If the noise, lights, and action has you stressted, please stop by the Quiet Space, relax for a few minutes, de-stress, then go back out refreshed. Remember, there’s room for everybody in the Boneyard! Here is the 2019 Game Manual. Please download it to your own computer and bring it with you to the big kickoff on January 5th (details of that on TeamApp). We get the code to open the manual at the end of the big reveal. See you there! We made a group chat (definitely not to share memes ;). We also prepped to present our Stop The Bleed event with a skit/powerpoint. We just finished our course in Java (yay!) and they all ran perfectly (mostly). Can’t wait to work with you all! whatever else we think of! Boneyard Robotics is part of the International FIRST Robotics Competition centered in Pitt County, NC dedicated to generating interest in science, technology, & engineering among youth. Boneyard Robotics is a diverse, supportive, and accepting FIRST family which serves as a benevolent, creative, and inspiring home to build a better future for all. 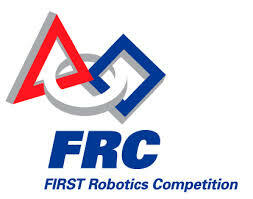 To achieve its goal, FIRST allows students to compete with other teams from around the world in a robotics competition, In the FIRST competition, students construct and control a robot to compete in a playoff whose objective changes every year. The competition allows students to make the important connection between classroom lessons and real world applications while providing them with an opportunity to shine. By fostering increased collaboration between schools, businesses and universities, FIRST serves as a unique catalyst for an invigorating exchange of resources and talent, while highlighting mutual needs, building cooperation, and exposing students to new career choices.